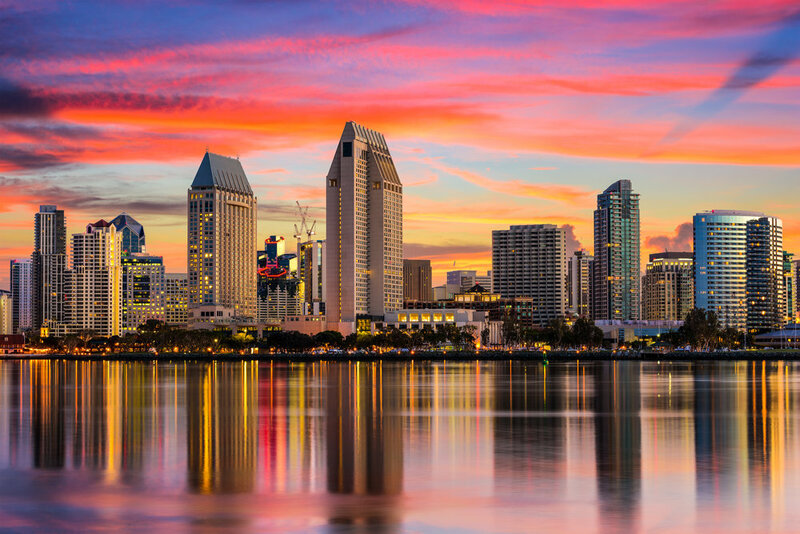 Downtown San Diego is a thriving, revitalized hub of city life, located only minutes from the airport. Neighborhood after neighborhood, from Little Italy to the Embarcadero, and from East Village to the historic Gaslamp, offers residents and visitors a plethora of exciting activities, cultural attractions, dining and shopping venues and delightful architecture – all accessible by foot or trolley. Bordering the San Diego Bay, Downtown San Diego is rich in tradition, and exploding with modern growth. A developing assembly of art galleries, boardwalks, skyscrapers and farmer’s markets all share space with newly formed start-ups, architecture and design firms, and professional services headquarters. The city is simply abuzz with vibrant attractions, restaurants, nightlife and premiere residential and commercial spaces.